I had a pretty niche project requirement and knew that Plastimake would be perfect for the job! Through a period of heavy computer use I have been getting sore wrists. 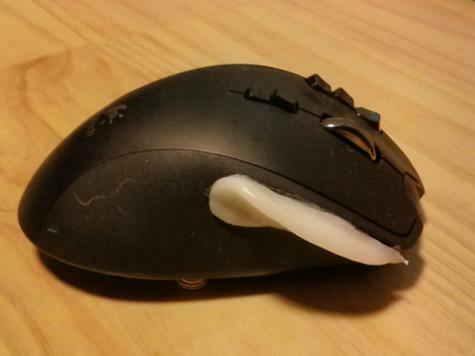 I could see that by constantly gripping my mouse with my thumb and third finger to lift the mouse up, I was over working something. 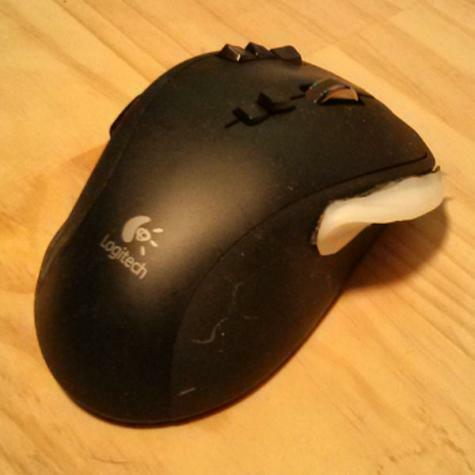 It affected both my play and career not being able to use a mouse for more then a few hours a day. If I could just make an attachment on the mouse that would lessen the force needed to grip the mouse then I would be able to keep computing. Below is a picture of what I ended up using. It's a contoured "rib" that sits on top of the third finger (ring finger) and means I don't have to squeeze the mouse so hard, each time that I lift the mouse up to reposition. Plastimake has so many uses and I think that everyone needs to have a stash at hand ready to save the day.